Sometimes, you might find yourself with trash to dispose of week after week. 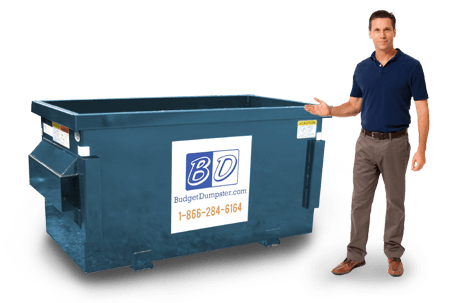 At Budget Dumpster, we want to make sure we can cater to all of our customers' needs. That's why we not only offer large roll off temporary dumpsters, but we also offer permanent commercial dumpsters for businesses. Each business is unique in its needs and we're here to help with them all. If you fall in the category of "weekly junk," it may be time to look into one of our contracts for a permanent dumpster. With our one-year contracts, you'll get scheduled waste removal. If you just have a little bit of trash every week, you can look into our smallest 2 yard dumpster. If you run a large corporation or warehouse, maybe our largest 8 yard dumpster would suit your needs. Whatever type of removal you need, we will work with you to find what works with your budget. You can give us a call anytime if you have questions about the dumpsters, how the contracts work, or anything else about our services. Our customer services are always happy to chat with you and will answer any questions you have or address any concerns. Customer satisfaction is our top priority, so we will do everything we can to make sure you are happy with our services! 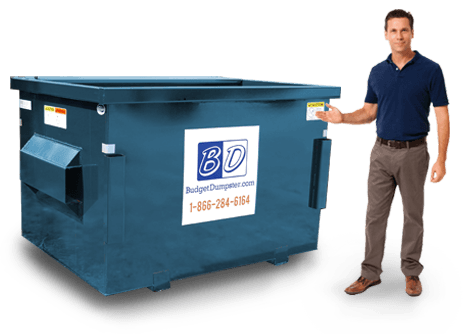 Do I Need a Dumpster for My Business? 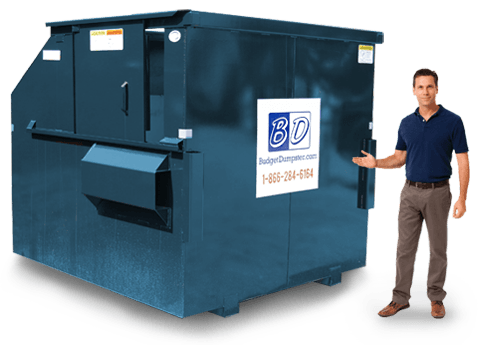 If you're running some kind of business, chances are, you will need a dumpster. If you have a small business, you can look into renting one of the smaller sizes that we offer: the 2-yarder or the 4-yarder. The 6-yard size is the most versatile and commonly rented, because it works so well with a variety of businesses. Then there's the 8-yarder, which would be a great option if you have a business that is a large warehouse or corporation or has many employees. Even if the work your business does doesn't produce a collection of trash, it is likely that the employees do (think: lunch breaks.) If your business recycles and tries to reduce waste, fantastic! That is a great thing and Budget Dumpster encourages it. There are still those pesky items that just aren't recyclable. Talk with one of our customer service representatives about your needs, and they will be happy to help you figure out what is best for your business. What Can't Go in a Dumpster Rental? 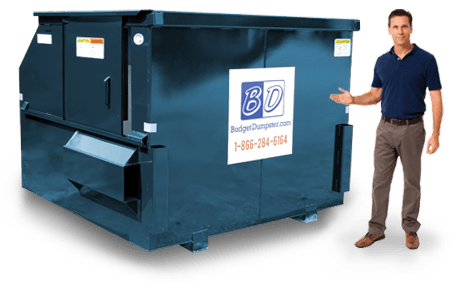 It's always a good idea to check with a Budget Dumpster customer service representative if you're unsure about whether or not an item will be permitted in a dumpster. In most cases, we can probably take whatever you're throwing out. There are, however, some materials that are not allowed in the landfills, and therefore cannot be put in your commercial dumpster. Some of these items include tires, wet paints, hazardous chemicals, and medical waste. You can read more about hazardous wastes that are not allowed in dumpsters or consult a representative with any questions you have.